Choose from among Jeld-Wen's All Panel, Glass Panel, Bi-fold, and Louver doors in woodgrain or smooth panel options. Available textured or smooth and ready for painting in many panel designs. Solid cores are available for superior sound control between rooms. Sustainable Solutions: No Added Formaldehyde (NAF) is an option available for the entire door slab. 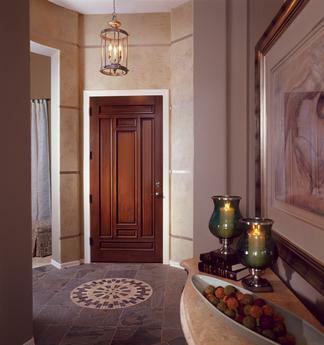 Molded interior doors are certified by Scientific Certifications Systems (SCS) to include pre-consumer recycle wood fiber content. Select from Camden®, Avalon®, Stanford®, Provincial®, Bostonian®, Colonial, Impression™ Mirror or Impression Magnetic Chalkboard designs. 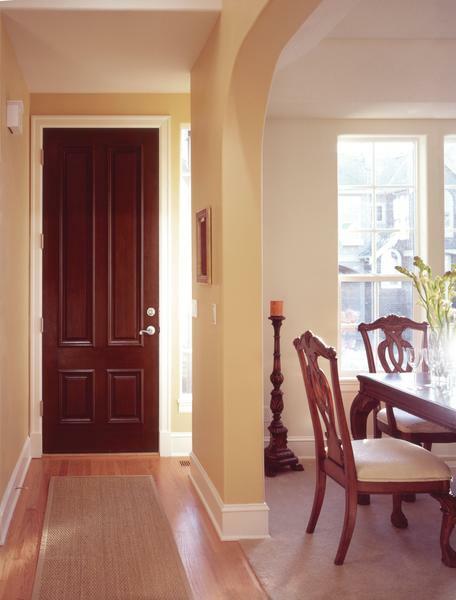 Jeld-Wen's new smooth surface door line provides a streamlined contemporary feeling. Select from Craftsman III™, Cambridge, Princeton, Continental™, Santa Fe, Atherton®, Rockport®, Arlington, Bristol, Madison, Impression™ Mirror or Impression Magnetic Chalkboard designs.